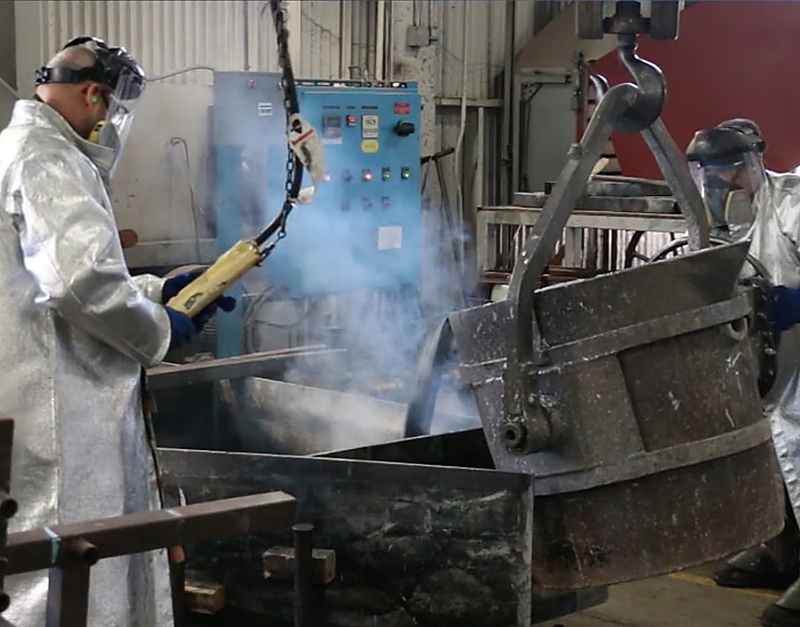 One of the oldest services offered by ACE is our on-site foundry, where we use molten metal to form our custom dies in-house. 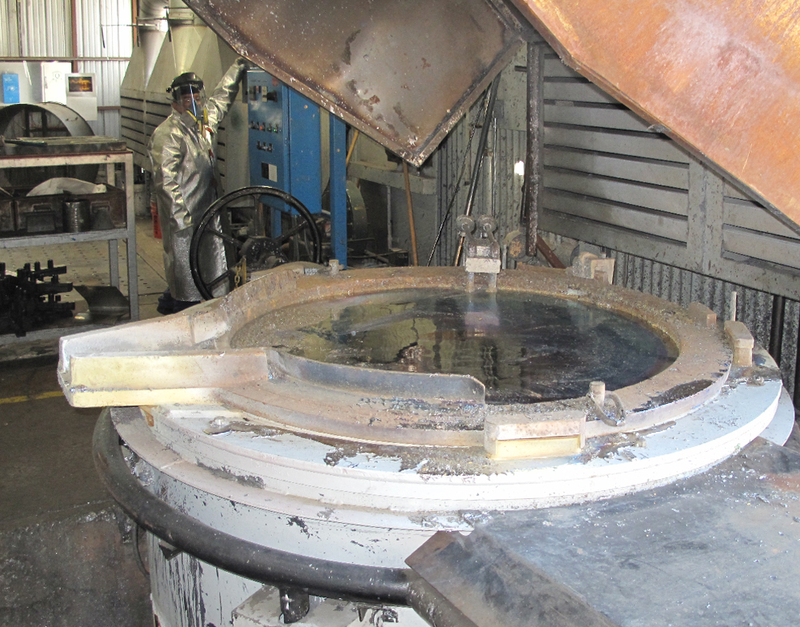 Cauldrons are maintained in a molten state 24/7 to insure the metal never hardens. 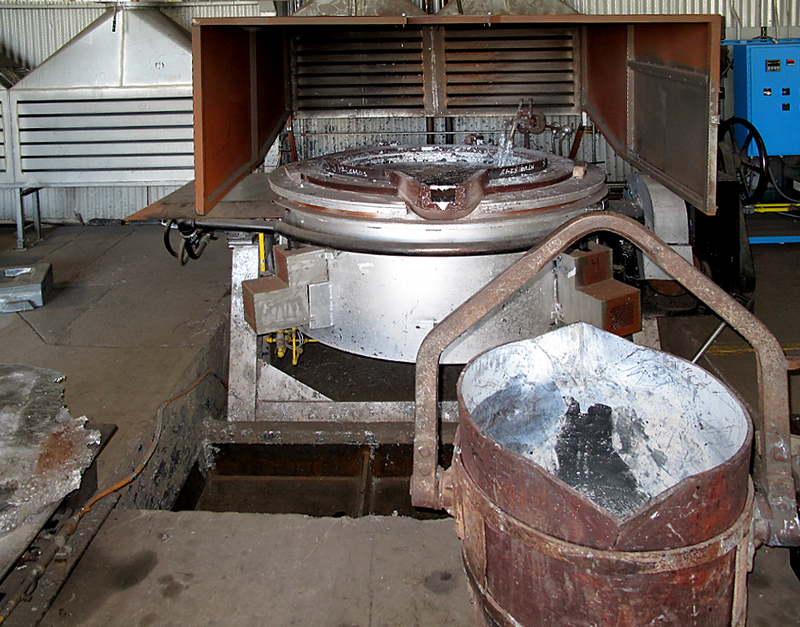 Huge crucibles are loaded, or filled before the pour, to maximize control of the molten Kirksite. Winches hoist the crucible to the edge of a prepared steel-sided "box" surrounding a "male" or "female" die in its base. 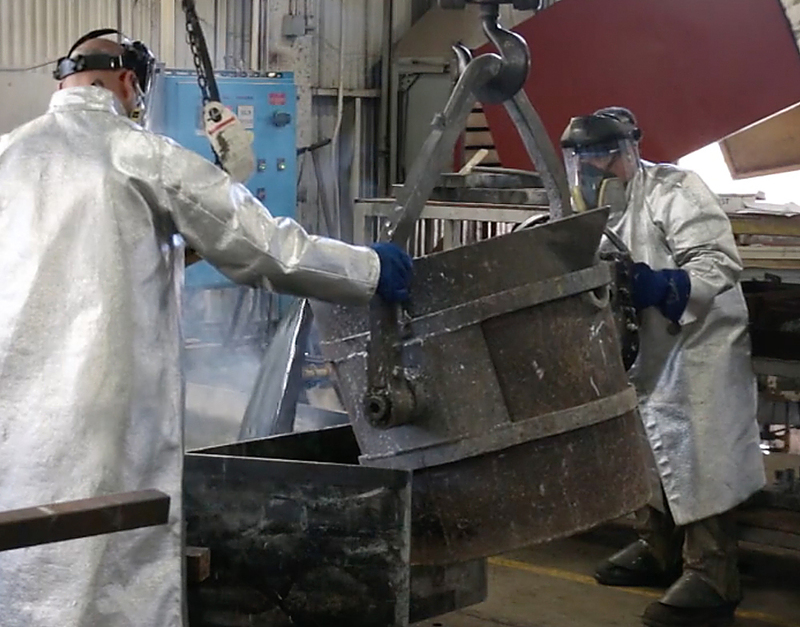 Total safety precautions are met with extreme heat-resistant coats, shielding masks, filtered breathing apparatus, thermal gloves and leggings/boots that protect our technicians throughout the process. 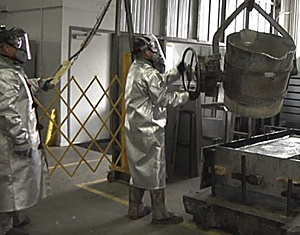 Once the pour is accomplished, the form is left to cool. The box is then disassembled. 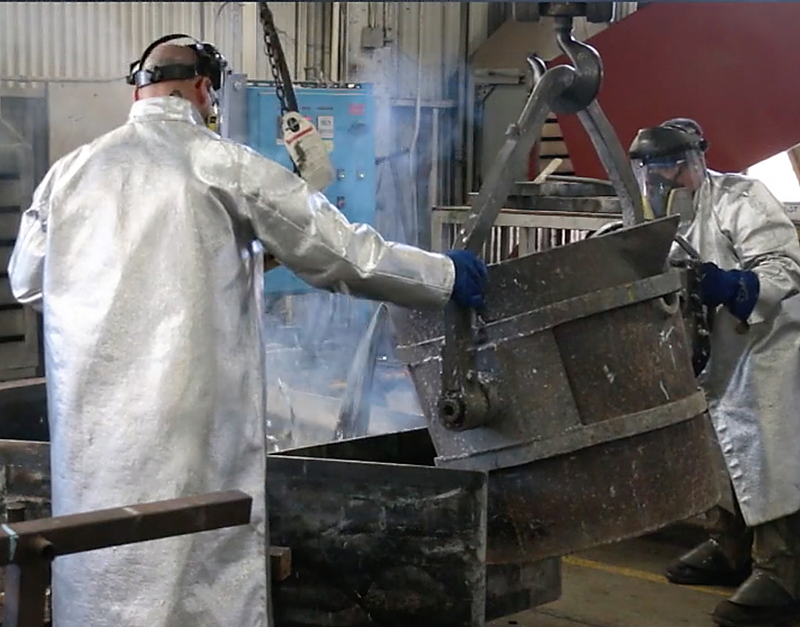 Large "pins" set into the metal while still in a molten state enable our cranes to raise the new top-half off of the base to be prepared for installation onto one of our drop hammers.